If you've ever gotten lost while hiking or backpacking, you know how scary it can be. Even if you bring your phone and rely on the GPS, sometimes they fail or run out of battery. This is where dedicated GPS units come in to play. 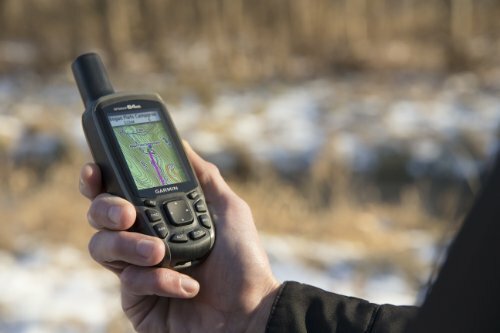 By having a single device dedicated to helping you navigate the wilderness, you can keep your phone safely tucked away and focus on your hiking while your GPS unit takes care of the wayfinding. In this review we'll take a deep dive into the Garmin 64st GPS unit. I'll cover the features, pros, cons, other notable insights and a couple alternatives to the 64st. If you don't want to read the whole thing, here's the summary up front before we jump in. The Garmin 64ST is a solid choice for a dedicated GPS tracker. It's durable and reliable which means you can rely on it when you're in the wilderness. Unfortunately it suffers from a severely outdated user interface/operating system and has very short battery life which puts it into a backup role instead of being an everyday carry you can use while hiking. I'd recommend using the Garmin 64ST over your phone or an older GPS unit. It offers a good feature set for it's price and presents a solid value compared to the competition. Before I jump into what I like/don't like about the Garmin 64ST, I want to give a run down of some of the features so you know where I'm coming from. First up, the display. expandable internal memory. Comes with 8gb. The display on the 64ST is a 2.6" color screen with a 160 x 240 resolution. This is a small screen. It measures 1.43" wide and 2.16" tall. If you have bad eyesight it might be hard to read what's on the screen which can be a problem when you're dealing with highly detailed topographical maps. It's more durable. Think about how often you see people with broken screens on their phone. Not good for something you'll be throwing in your pack. Less battery required. Phones have huge batteries and still chew through them in a day. A GPS unit should use as little power as possible so you can count on it to be ready to go when you need it. Works better in wet/snowy conditions. Touch screens are capacitive which means they work by picking up on the small electrical currents in your finger which completes a circuit with the screen. If you've ever gotten your phone screen wet or tried to use it with snowy gloves you probably noticed it didn't work very well. Overall the display on the 64ST does the job. It's not going to blow anyone way or replace your cell phone for GPS navigation but it's durable and reliable. The 64ST doesn't come with a rechargeable battery. This means you'll need to put in 2 AA batteries of your own. Since the battery life on the 64ST is fairly short, I'd recommend getting rechargeable batteries so you aren't constantly throwing away/recycling used up batteries. 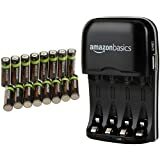 I'll cover the battery life in more detail in a later section, but for AA rechargeables I'd recommend these Amazon Basic batteries. They're basically the same as the name brand and cost significantly less. The 64ST come with an IPX7 water rating which means it can handle splashing, rain, snow or showering water. It could probably survive a brief drop into a stream but I wouldn't recommend it. 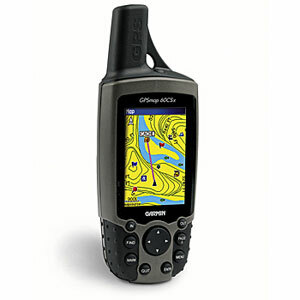 The 64ST is frequently used by hunter and fisherman so Garmin built it with water resistance in mind. For most backpackers and hikers the IPX7 rating should be more than enough. The Garmin 64ST comes with 8GB of onboard storage with an additional microSD slot if you want to add more. Depending on how many maps you want to have stored on the device at once, you may need to invest in a larger microSD card to fit everything. 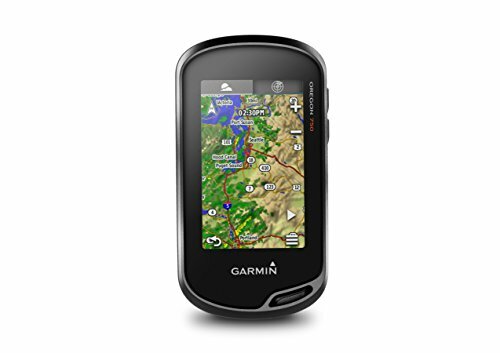 Garmin sells additional maps by region (Southwestern U.S., Northwestern U.S., etc). The entire map of the United States is 560 GB but the 64ST only accepts up to a 32GB microSD. 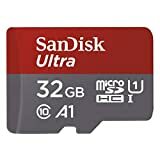 If you plan on storing more than 1 region at a time on your device I'd recommend this Sandisk card which is cheap and fast. The GPS navigation is one of the best features of the device (as it should be!). I'll cover this in more detail later but just to cover the specs, the 64ST uses a built-in 3-axis tilt-compensated electronic compass and a High-sensitivity GPS and GLONASS receiver with quad helix antenna. Long story short, the GPS equipment on the inside of this device are solid and do an excellent job of tracking your location. Weight is super important for backpackers. One of the reasons most people decide to use their phone for GPS navigation is because they're already carrying it so they won't have to bring any additional weight with them. Thanksfully the 64ST is pretty lightweight. Including the 2 AA batteries, this device weighs just 8.1 ounces. You'll be hard pressed to find a dedicated GPS unit that weighs much less than that. Some other interesting features of the 64ST include the fact that it comes preloaded with 100,000 topographic maps as well as the ability to add your own. You can add up to 5,000 waypoints and save 200 different tracks. Like I said, this device was made with hunters in mind who might have a lot of different locations with tracks set up. For most backpackers you'll be fine with just planning your next hiking route and storing that on the device. With the basic feature set out of the way, let's take a look at where the 64ST excels and what sets it apart from the competition. One of the best features of the GPS on this device is that it works quickly. The GPS locks on and locates you in under 30 seconds for most locations. If you've ever had to wait around for your GPS to lock in you know how frustrating it can be. Thankfully the sub-30 second lock in means you can fire this GPS receiver up and know where you are without much of a wait. This is one of the primary jobs of any GPS unit so it's good to see the Garmin 64ST pass with flying colors here. Another highlight of the 64ST is the highly detailed topographical maps. The 64ST uses USGS maps which have 10 foot topographical lines which means you can tell precisely where the elevation changes happen. Generally topographical maps will have 25 ft or 50 ft contours. This makes it easier to look at because there's less detail but it can be hard to tell how steep the elevation change is because there are fewer lines. A sample of the 64ST's topographical map is shown right here to give you an idea of what it looks like. You can tell where this area has very steep hillsides/mountains because the topographical lines are very close together. The 10 foot topographical map lines really make this device standout and is one of the reasons it excels in this category compared to other options on the market. One bonus feature on the 64ST is that if you're hiking somewhere with cellular connectivity, your family/friends at home can follow along in real time as the Garmin updates your position. It also has built in Bluetooth connectivity for transferring data with your computer. To be honest, Bluetooth is difficult to get working on a good day and with the oudated user interface, this isn't all that useful. The cell connectivity is nice but it chews through battery for something that you don't really need while hiking. I also tend to hike in pretty secluded places where I don't have cell service so these aren't really big selling points for me. If you're a big hunter/fisherman then these can be nice bonuses. The battery will still last all day even with the cellular connectivity turned on and it can give your family peace of mind to know where you're at. The 64ST is super tough. You can almost tell just from looking at it that it can take a beating and keep running. Garmin did a nice job designing this to be durable in every aspect. From the screen to the buttons to the sturdy casing, every single piece of this device was made to be solid. The outside case is made of hard plastic so you can just toss it in with your backpacking gear and you won't need to worry if it will be broken when you take it out to use it. Not much to say here other than the fact that this device turns on quickly and gets a signal locked in which means you can use it right away. By leaving it turned off you can stretch the battery life out to make sure you have enough juice left for when you really need it. We'll get into the battery life in more detail next because this is one of the drawbacks of this device. Being able to turn it off and leave it off for most of the day is a necessary requirement if you plan to use it for multiple days at a time without recharging. You can probably tell from the list of Pros that the Garmin 64ST is a quality device. It checks most of the major boxes you'd look for in a dedicated GPS unit but unfortunately it's not all roses. There are a couple drawbacks to the 64ST you should know about before you buy it. For most people these won't be deal-breakers but depending on your use case they could cause some big problems. Let's take a look at some of the issues with the 64ST and figure out if they can be managed around. For instance, if you're a hutner, these cons probably won't be an issue at all. If you're someone who only does through hikes in foreign countries then these could be total show stoppers. I'd guess for 95% of people these won't be show stoppers, you'll just have to pre-plan and adjust to accomodate some of these drawbacks. You can have cheap, accurate and high quality, you just cant' have all 3. So pick the 2 that are most important to you and if you want a device that can do it all, be prepared to spend quite a bit more money. First and foremost, the battery life on the 64ST is not great. Garmin cites the battery life as being 16 hours but that might even be generous. Most users report somewhere between 8-12 hours of continuous use before the batteries are dead. There are a couple of options you have to extend the battery life and make it more manageable. First, I'd recommend only turning on the device when you need it. Since it boots up quickly and locks a GPS signal in less than minute, it's not that inconvenient to leave it off for most of the time. I'd check it when I wake up and leave camp, at lunch, then again in the afternoon before arriving at camp. If you're only checking it 3 times per day to get an update on your position you should only be using it for about 10 minutes per day. With a 12 hour battery life, that means you can use it 50-75 times before your batteries run out which should be more than enough time for almost anyone. Second, if you do want to leave the device on all the time, then you'll want to take advantage of the battery saver mode. This helps reduce the power draw and will let you stretch your battery life. Don't expect this to give you much more than a 25-30% boost in battery life though. This isn't going to magically allow you to use it for an entire week without turning it off; battery extender is just a slight extension in battery life with minimal loss of features. You'll be putting in brand new AA batteries every time they die so it'd be wise to invest in some quality rechargeable batteries if you decide to buy this unit. I don't see this is a big drawback but with today's technology, a rechargeable battery is kind of an expected feature so it's worth nothing. I basically would treat this similar to my headlamp which relies on AA batteries and needs to be charged/double checked before every trip. Just make sure you have everything charged up before you leave and you'll be good to go. Garmin's software is extremely dated and hard to use. Downloading maps from your computer to the device is tedious and time consuming. Also since Garmin prioritized durability over everything else, the screen is not a touch screen. This means all of the navigation needs to be done with the buttons which can be a hassle. Don't get me wrong, the software is usable. It's just not easy to use. In the world of smartphone apps and how easy they are to use, you'd expect Garmin to step their game up here but unfortunately their software is stuck in the 90's and you'll have to suffer through it. Luckily, you really only need to use the software when you're at home trying to load additional maps onto the unit. When you're out in the world using it you won't have to deal with any of that hassle. The 64ST has a pretty fast processor and is easy enough to use, but sometimes features you'd want to easily access are buried 2 or 3 clicks deep in the menus which means it can have a bit of a learning curve for beginners. 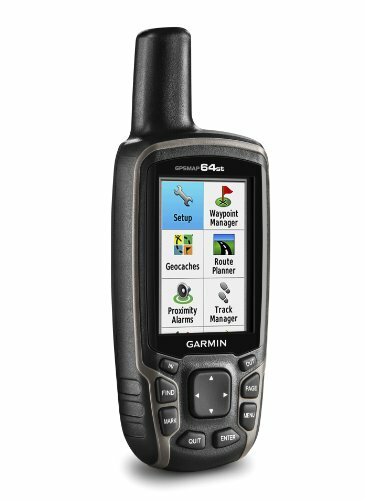 One of the features, and one of the selling points for hunters/fishermen, is that the 64ST can communicate via cellphone towers to transmit your location to family/friends through the Garmin software. This is nice if you're in cell tower range, but for most hikers and backpackers you'll be out of cell phone range which means this feature simply won't work. There are other choices on the market that can transmit your location back home via satellite but this is expensive and requires a data plan for that device. If this feature is important to you then I'd recommend taking a look at some of the alternatives I recommend later on in the article. This feature is more of an afterthought on the 64ST and isn't a reason to buy the device by itself. This must be related to the upload speed on the Garmin servers because I have extremely fast internet (150 mbps cable internet) and it still takes forever to download the maps. If you do plan to download additional maps, you should do it in the evening and let it run overnight. Don't plan on doing this 5 minutes before you leave on a trip or you'll be late while you wait for your files to download. Just plan ahead and you'll be fine. Besides these drawbacks, the 64ST is a pretty solid GPS unit. There are a couple of other things you need to know before you buy one though. They aren't necessarily pros or cons, just things that I had wish I knew before I bought one. One of the cool features on the 64ST is the BirdsEye view you can get on the maps. Unfortunately it's not included in the cost of the unit and it will run you an additional $29.99 per year. You can't buy it for 1 month and shut it off when you're done with your trip so you'll have to pay for the entire 12 months no matter how much you use. You can purchase the BirdsEye subscription here. If you want to see what the BirdsEye feature looks like you can check out this video for a preview. Comes With Profiles - But What Do They Do? The 64ST comes with a couple different preloaded profiles and the ability to create your own. Unfortunately it's not really clear what they do or why you should use them. For instance, if you switch to the Hiking profile, the 64ST will try to automatically plan your route like Google Maps would do when you want to drive somewhere. But the 64ST has no idea what route you're taking so the navigation it creates is basically useless. The device comes with 3 profiles: Classic, Hiking and Geocaching. The user manual doesn't tell you what the differences are and it's kind of hard to tell unless you experiment with them but that could potentially get you lost...so my advice would be to leave it in Classic mode and don't experiment with changing modes unless your at home and have some extra time on your hands. The user manual doesn't have much info in it. If you want to check it out you can click here. If you're trying to figure stuff out I'd recommend watching videos on Youtube since you can follow along with the video as they do stuff. I never read the manual when I buy stuff so this didn't bug me much but if you depend on the manual, you're gonna be disappointed. The 64ST is a decent option for backpackers but there are some alternatives (covered in the next section) that have some features specifically made for hiking. For hunters and geocachers, the 64ST is probably the best option on the market. It does everything you'd need and comes in at a very reasonable price point. 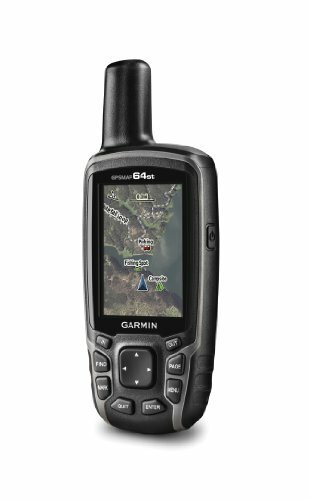 If you want to check out the official Garmin product page for the 64ST along with software drivers, user manual, etc, you can get to it here. Here's a quick rundown of some of the competition to the 64ST. 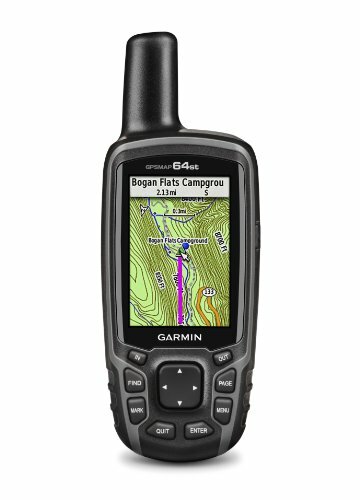 The Garmin 64 is basically the 'base model' compared to the 64ST. It comes with less storage and costs less than the 64ST but since it's been discontinued it can be harder to find. It doesn't have a compass or altimeter and there's no 1 year subscription to BirdsEye included with the 64. The Garmin 64s is in between the 64 and 64 ST. It is almost identical to the 64ST except it doesn't have topographical maps. If you're a hunter/fishermen this might work for you but for back country hiking and navigating, topographical maps are essential. The Garmin 62S is even more barebones than the models I just covered. In addition to having less memory and supporting fewer waypoints, the 62S can't use a microSD which means you'll be stuck forever and unable to upgrade. I wouldn't recommend buying the 62S when there are so many other newer models available. 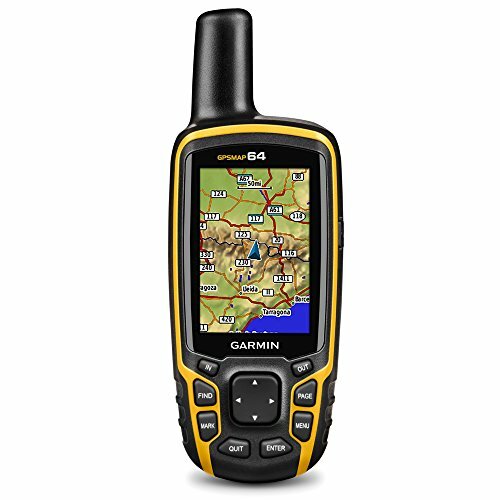 The Garmin 60CSx is another older model offering that is similar to the 64ST but outdated in every way. It does offer a longer battery life compared to the 64ST but it comes at the expense of the detailed maps. You can see in this image how much less detail the topographical maps have compared to the 64ST. It's also been discontinued so it is difficult to buy. The Garmin 750T is an actual upgrade from the 64ST in almost every way. It offers a nice touch screen and insanely detailed maps. Of course the trade off with the touch screen is that it's more prone to break and it also costs more than the 64ST. If you're looking for another altnerative to the 64ST then the 750T is your best bet. Overall the 64ST is a nice balance of technology and durability. It's not cutting edge but it also won't break the bank. It does what a GPS unit needs to do and nothing more. If you want the extra frills then you can look for more expensive models but for the price point and feature set that the 64ST offers, you'll be hard pressed to find much better in this category.